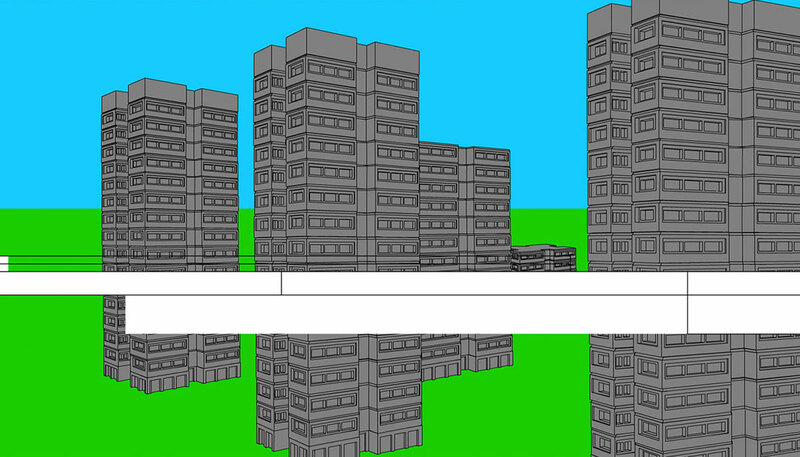 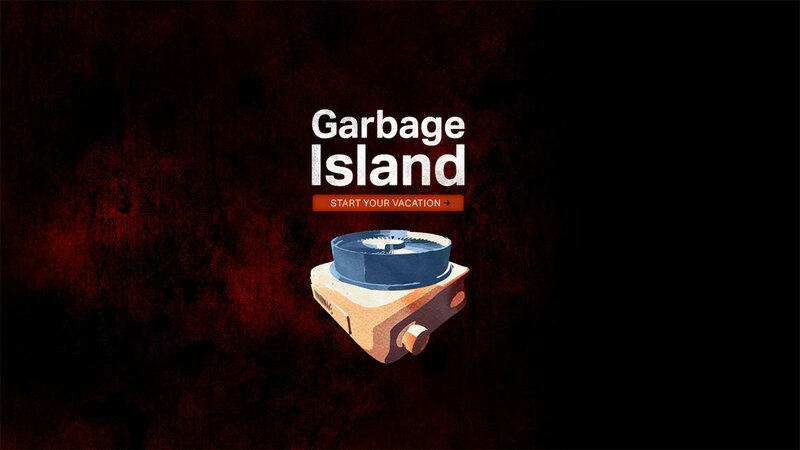 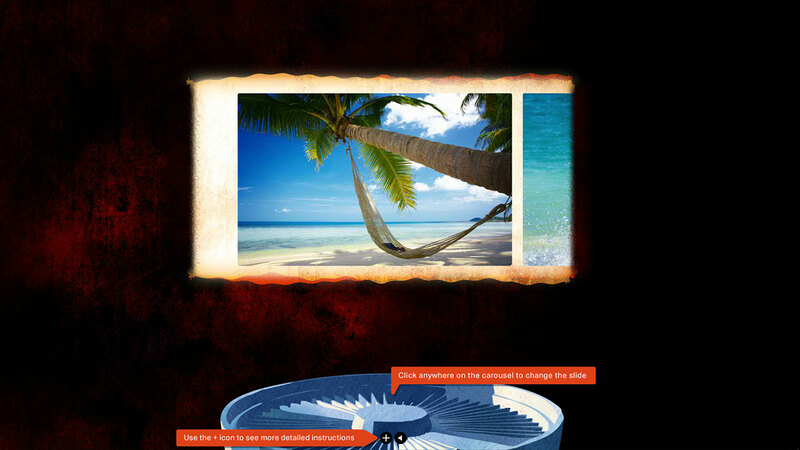 Garbage Island is an interactive documentary about the consequences of luxury vacations. 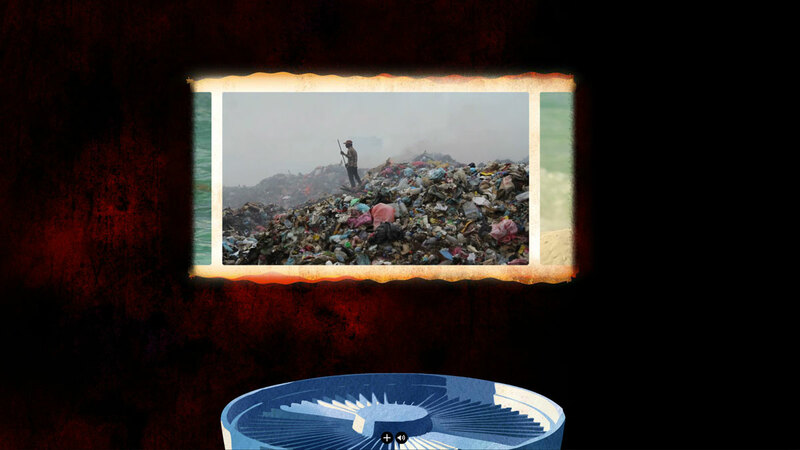 The documentary footage was shot by El Zorrero Film. 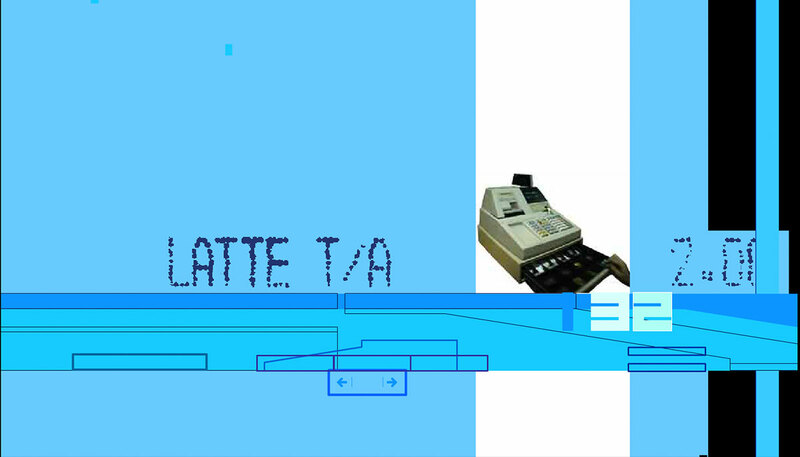 The presentation was designed, animated and programmed by Wavelength. 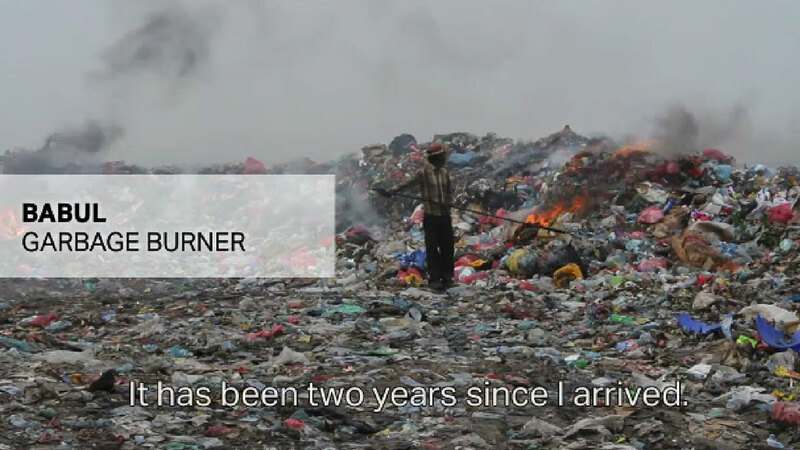 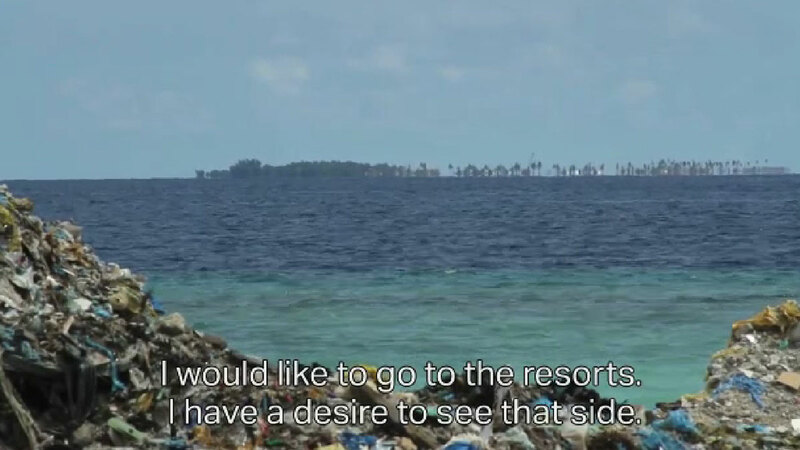 The footage is presented as an interactive slideshow interspersing holiday photography with video interviews of garbage collectors working at the Maldives. 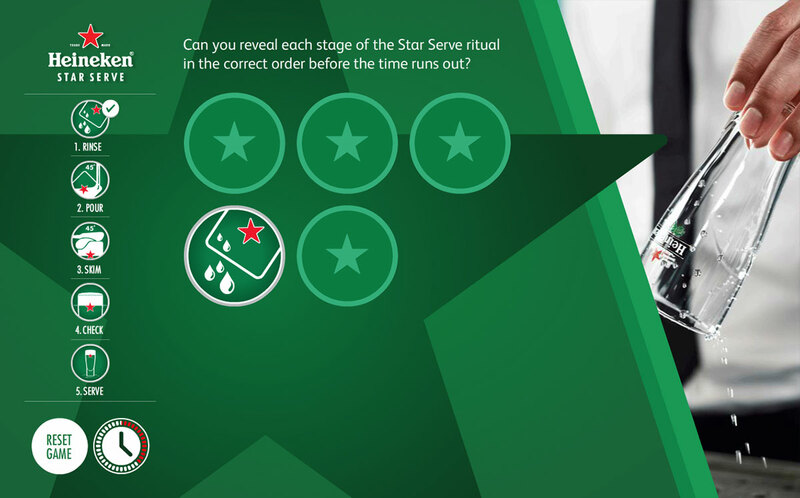 Design animation and programming for the Heineken Star Serve Game. 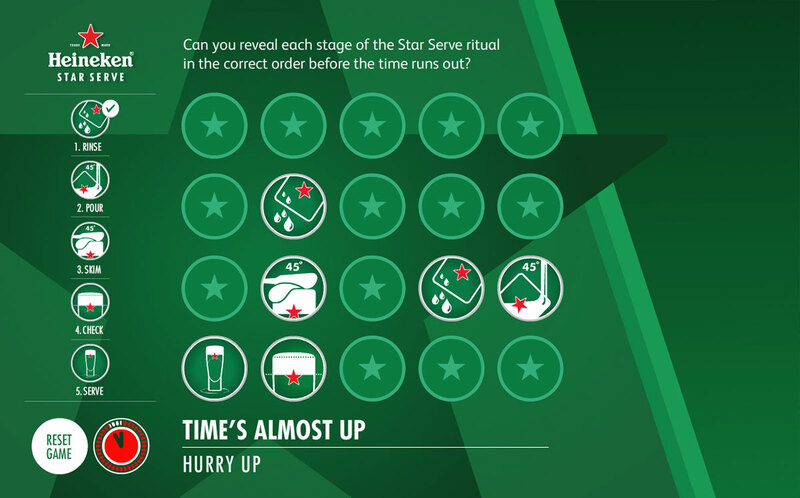 The game requires players to reveal symbols related Heineken in the correct sequence at ever increasing speed. 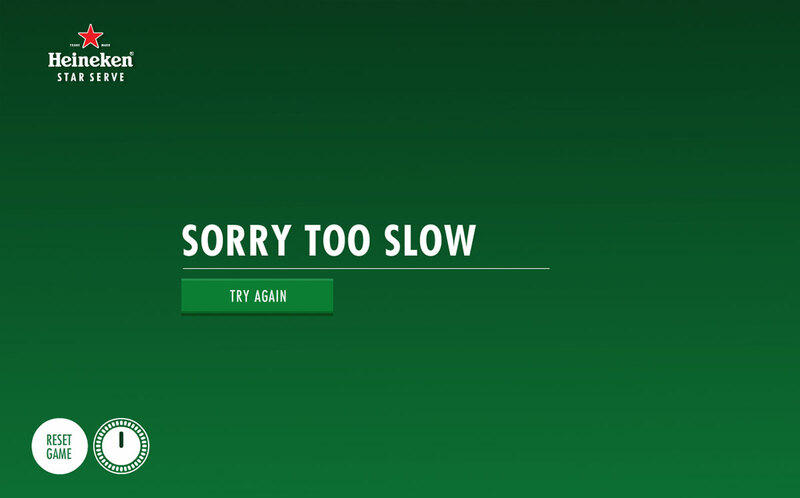 The game was created to run on a large standalone screen at Heineken events. 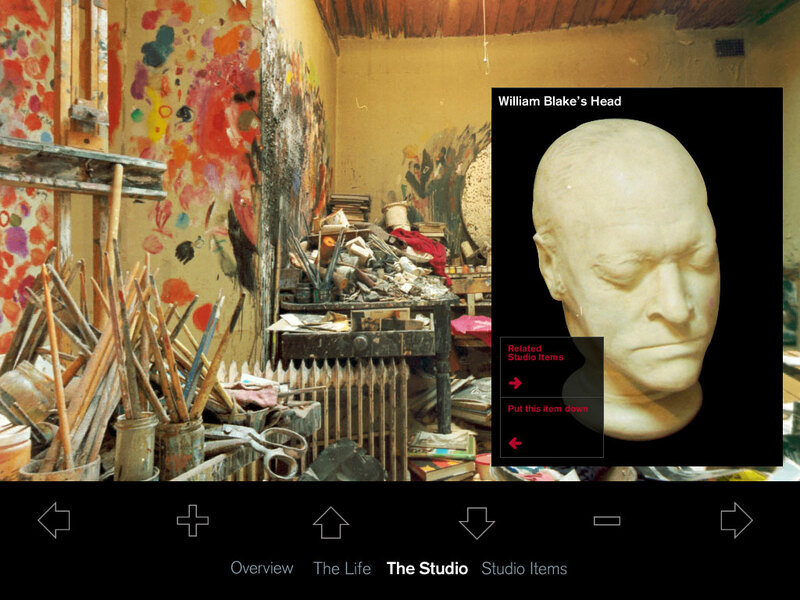 A separate tablet version was created as an Android app. 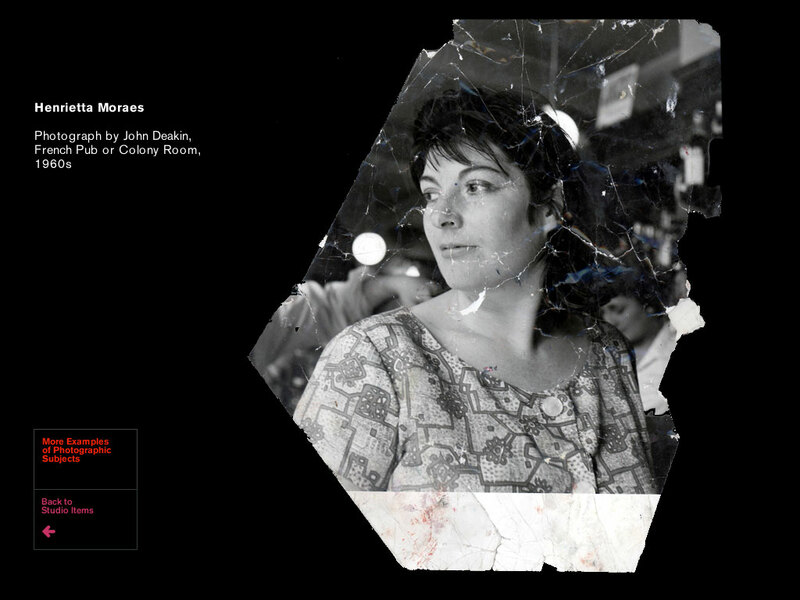 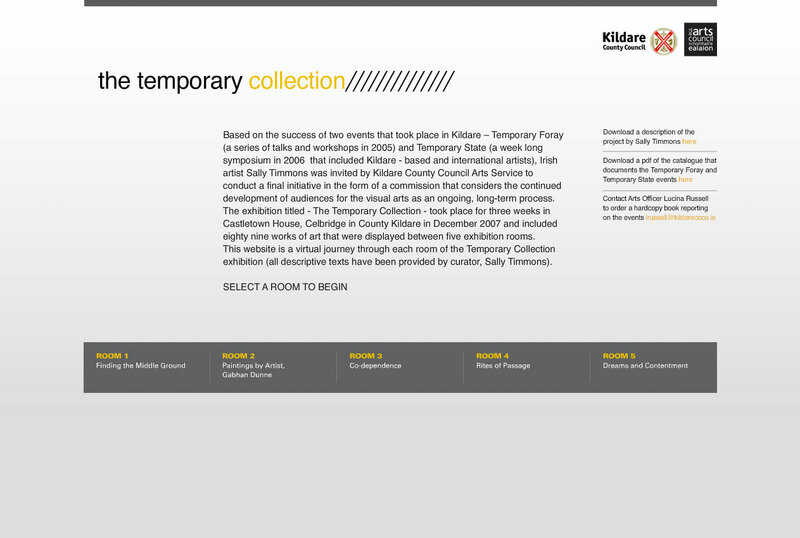 The Temporary Collection was an exhibition in Kildare curated by artist Sally Timmons. 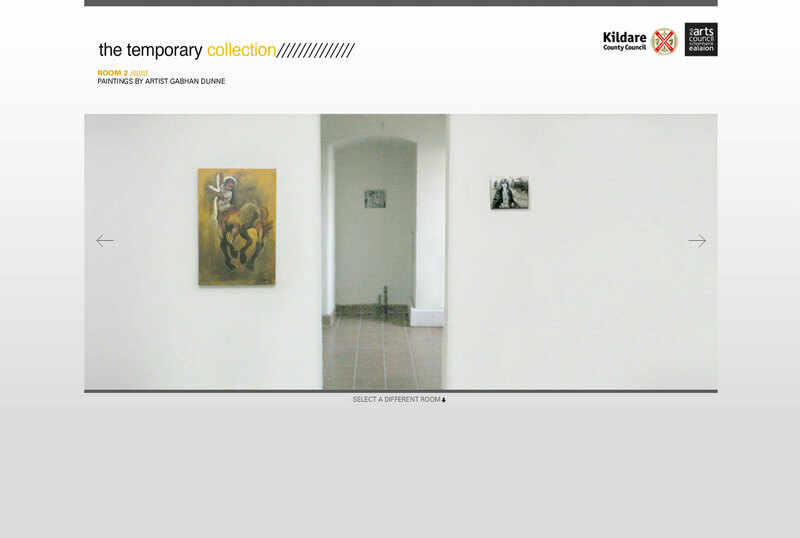 The theme of the exhibition was the continued development of audiences for the visual arts in Co. Kildare. 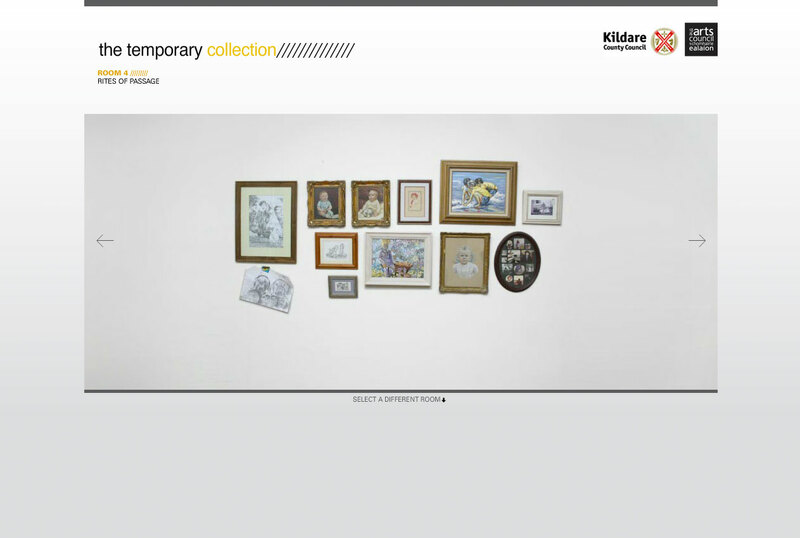 The exhibition is made up of artworks found in the everyday surroundings of Kildare people's homes. 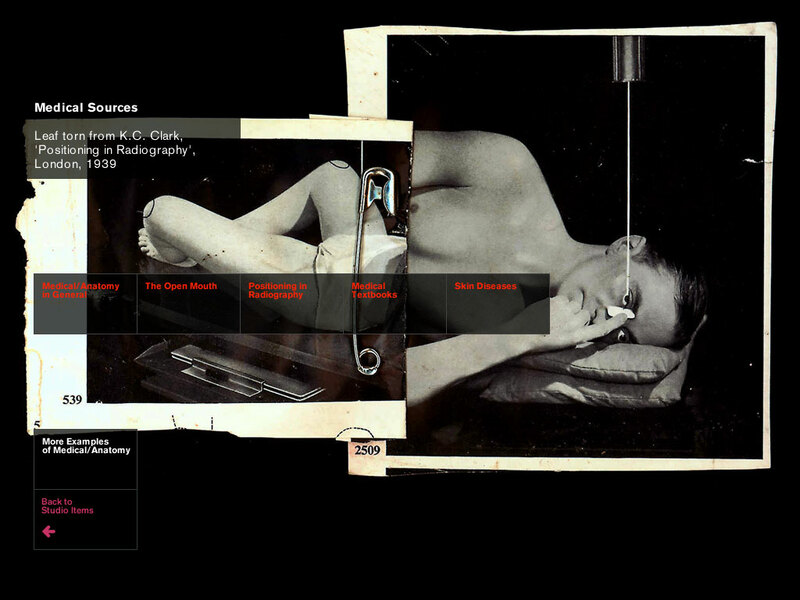 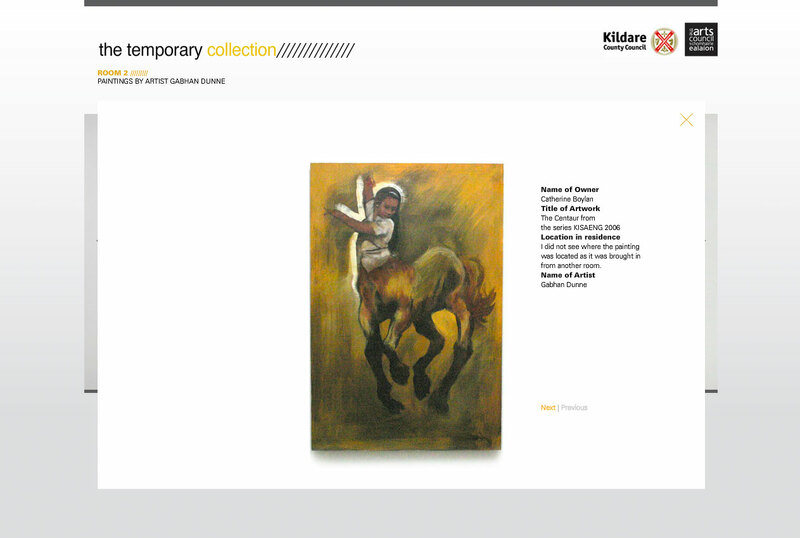 The exhibition website allows users to scroll horizontally through each room of the exhibition, to scale up each artwork and to read stories about the work displayed. 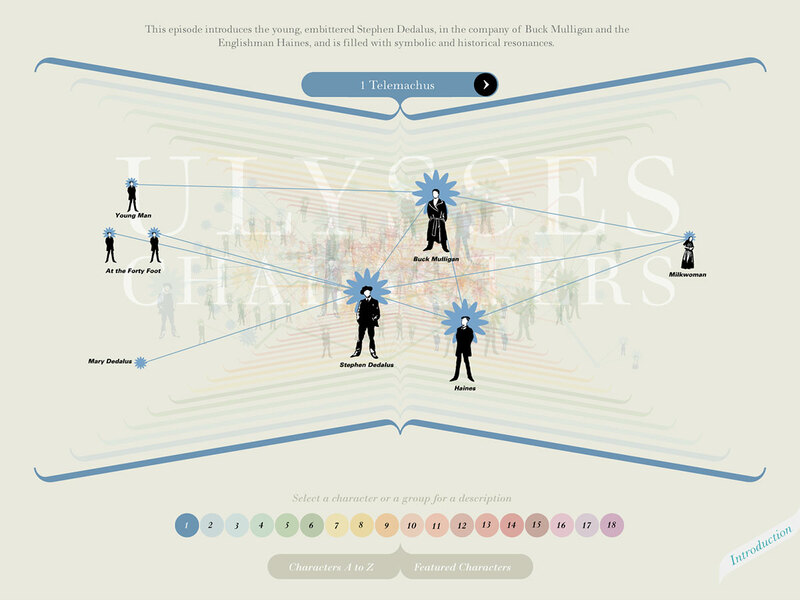 This design for an interactive exhibition celebrating the centenary of Bloomsday was created while working at X Communications. 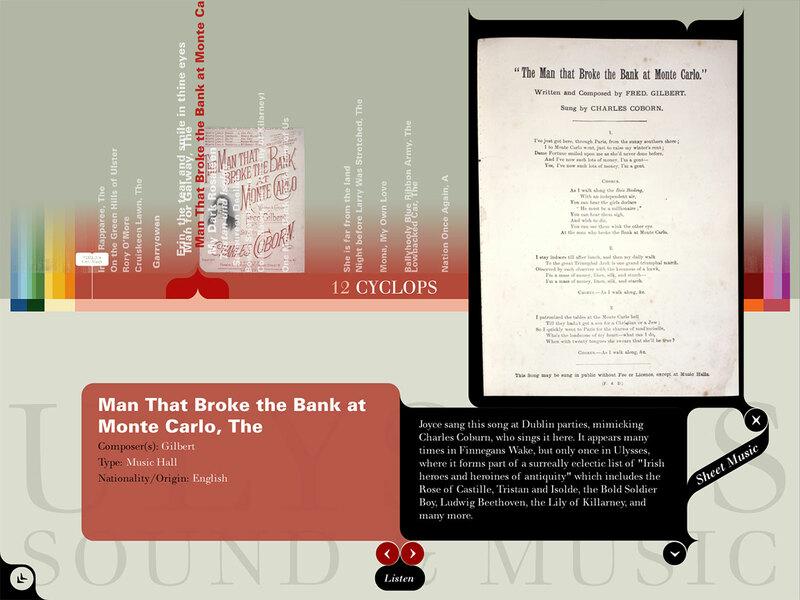 The interactive displays shown here are for three different parts of the exhibition. 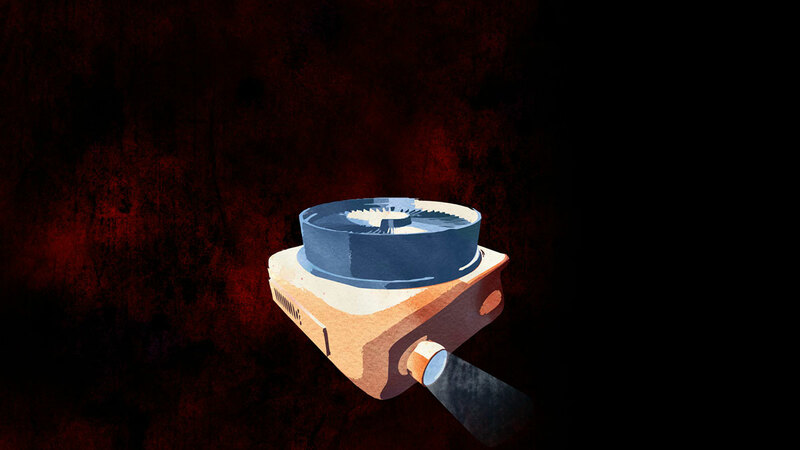 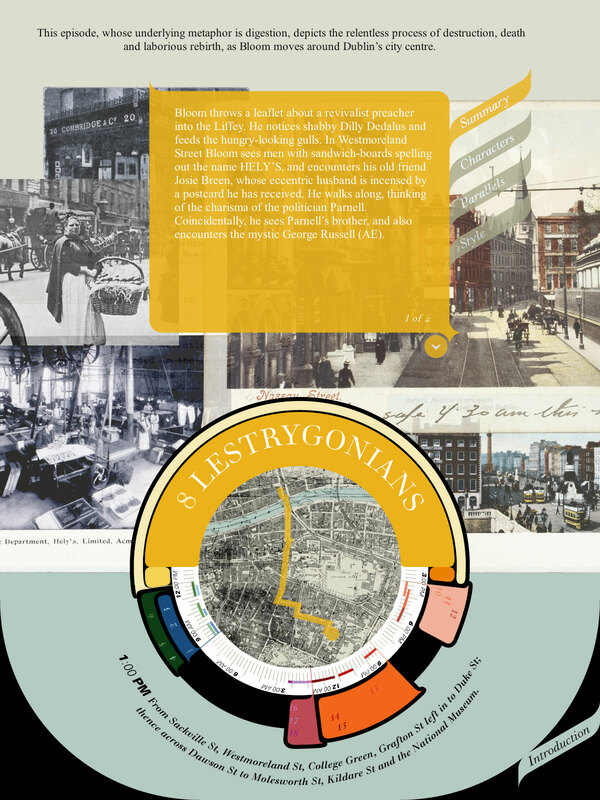 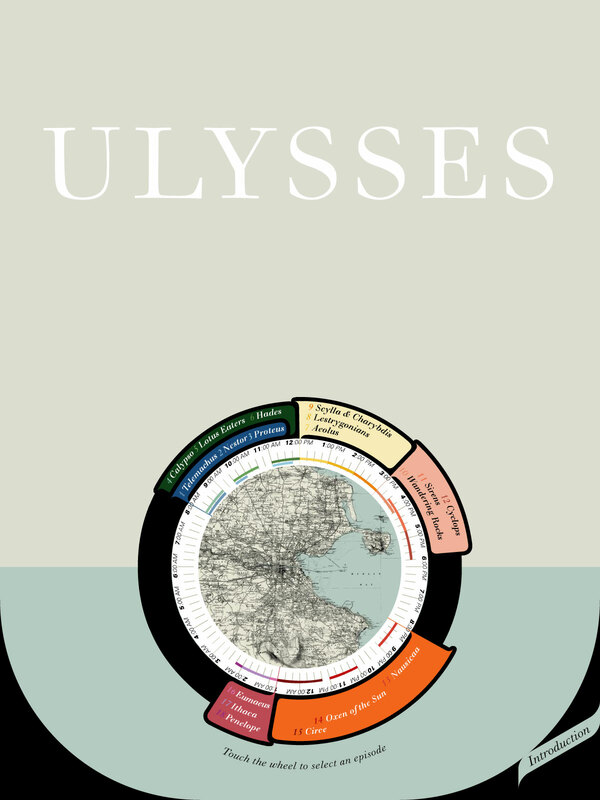 In the first piece a circular clock style interface is used to display the location and timing of events in Ulysses. 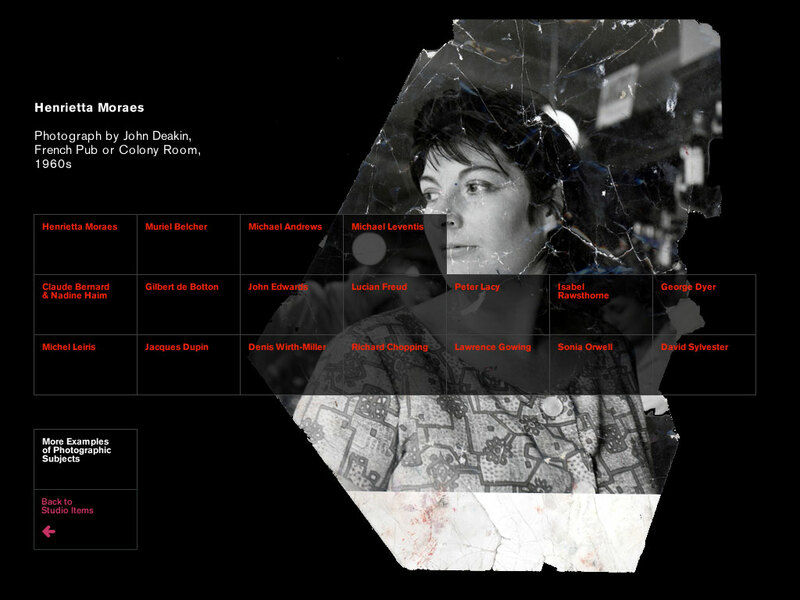 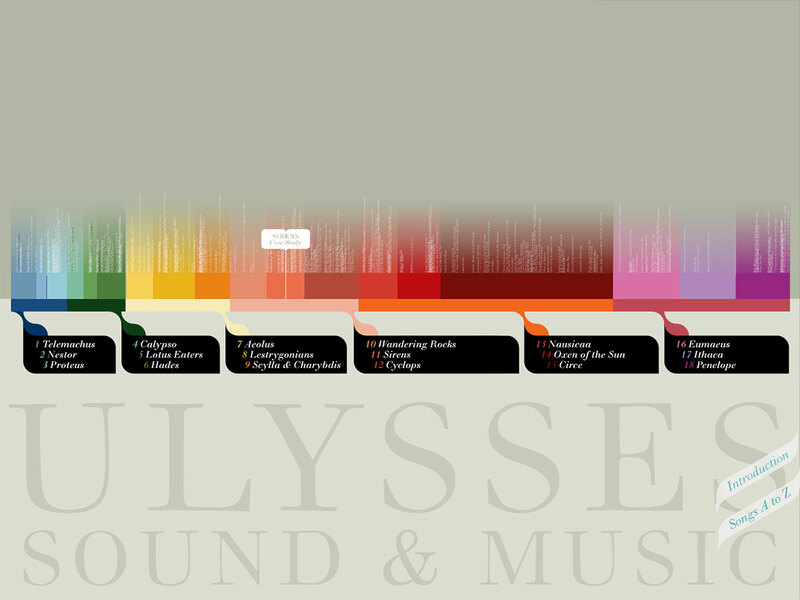 The second piece allows users to access information about music referenced in each chapter of Ulysses. 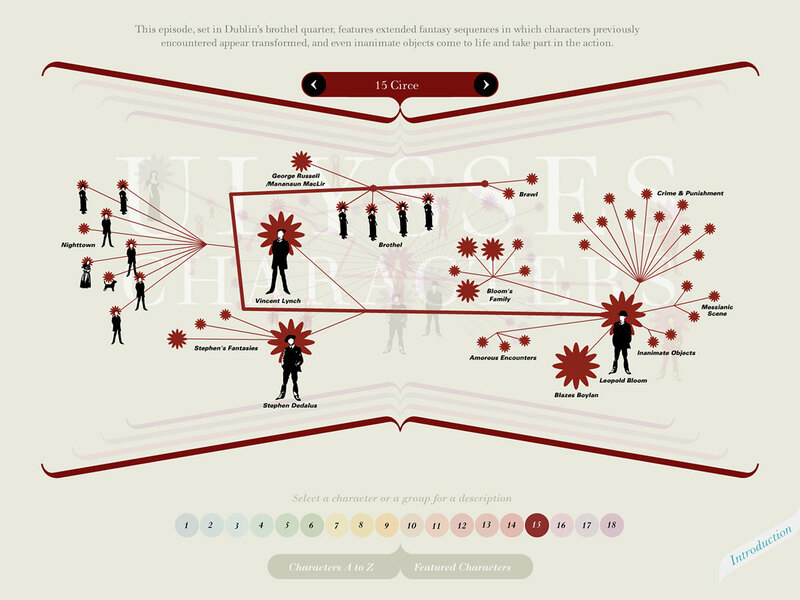 The third piece shows the relationship between characters in each chapter. 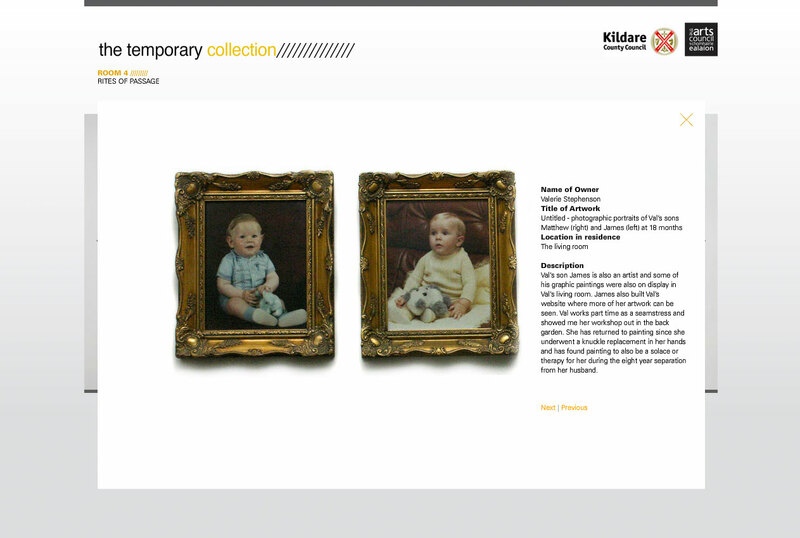 In all three pieces colour coding is used to differentiate the individual chapters. 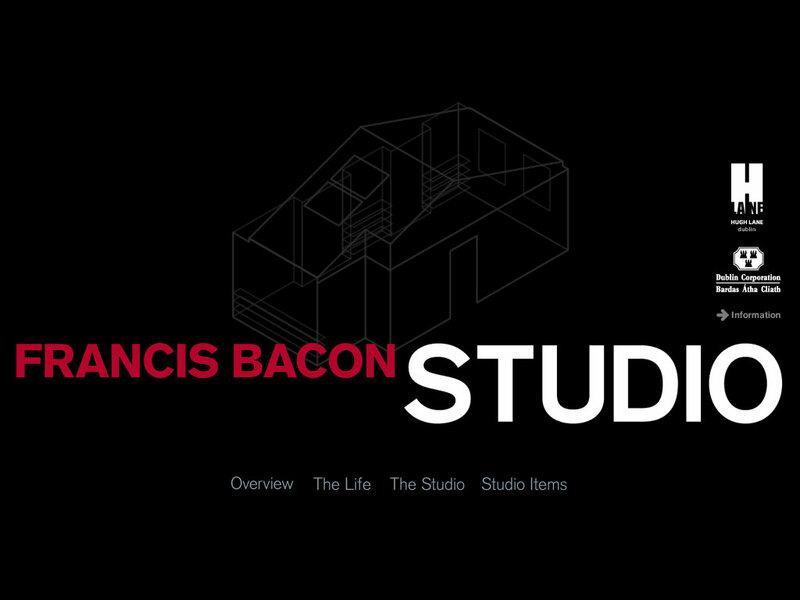 This interactive design for the Francis Bacon Studio Exhibition at the Hugh Lane Gallery, was created while working at X Communications. 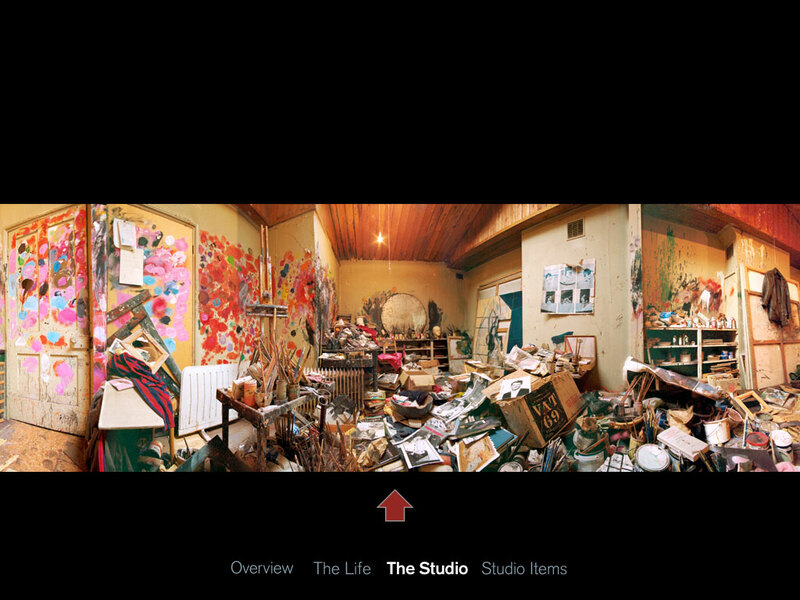 The interactive piece allows users to navigate around a full screen photographic representation of the studio and to select and examine specific objects in that space. 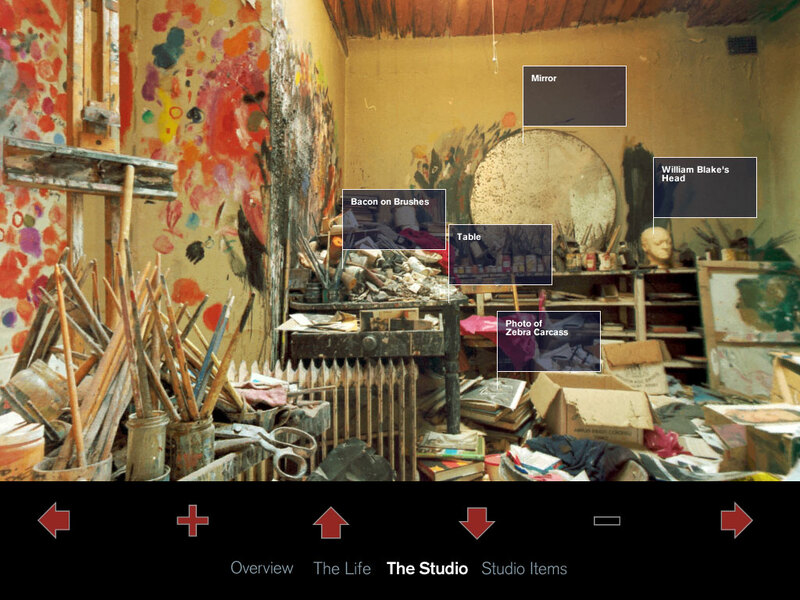 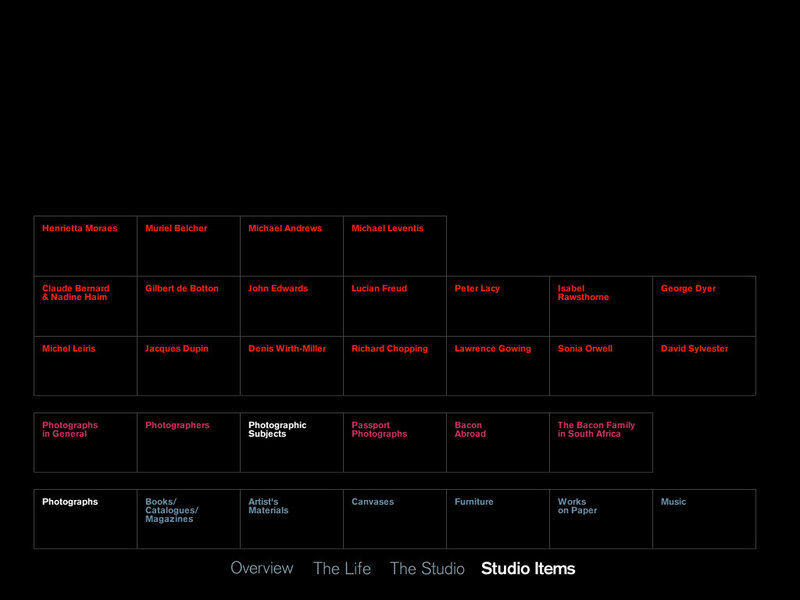 A separate branching menu system allows thousands of objects in the studio to be accessed and examined. 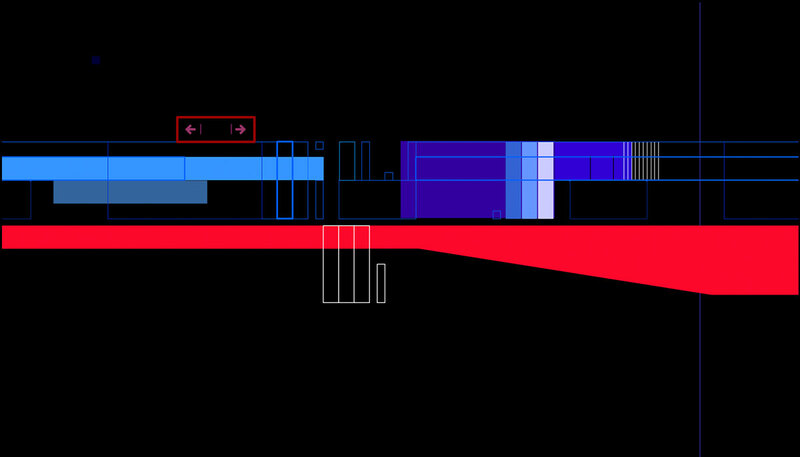 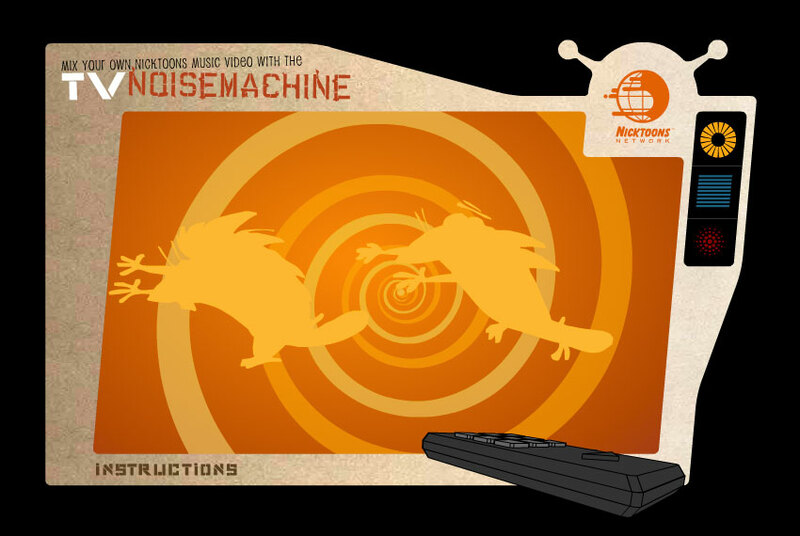 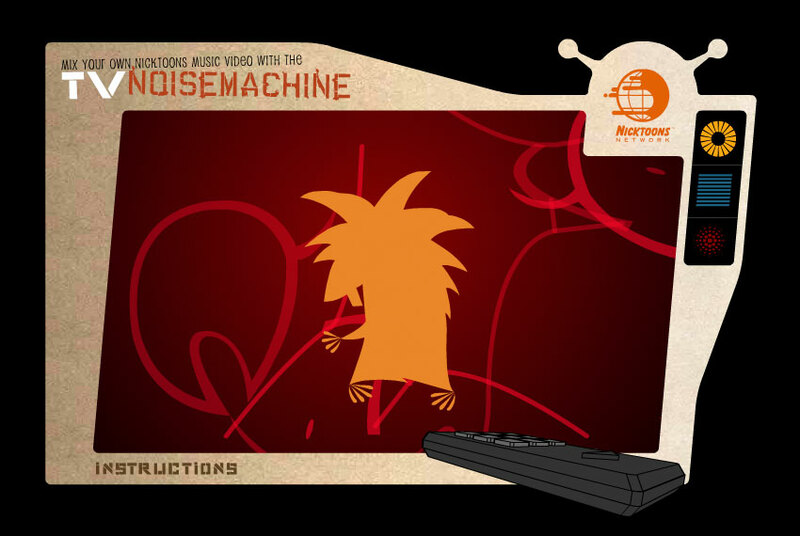 Looptracks was an experimental website which allowed users to explore an interactive environment by triggering animation, music and sound. 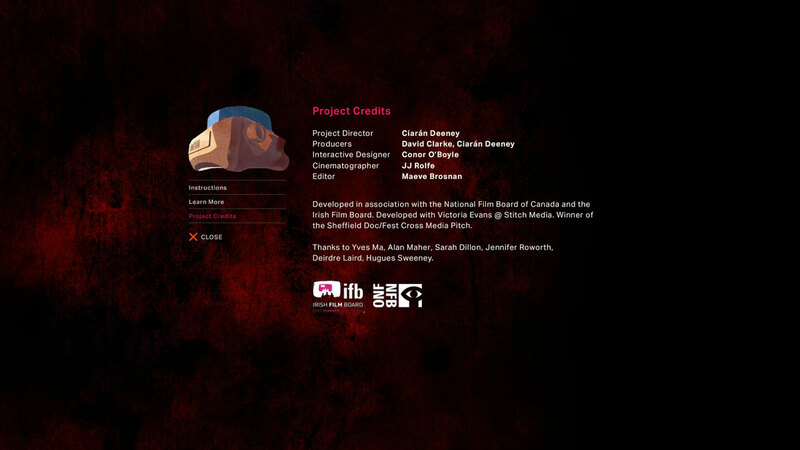 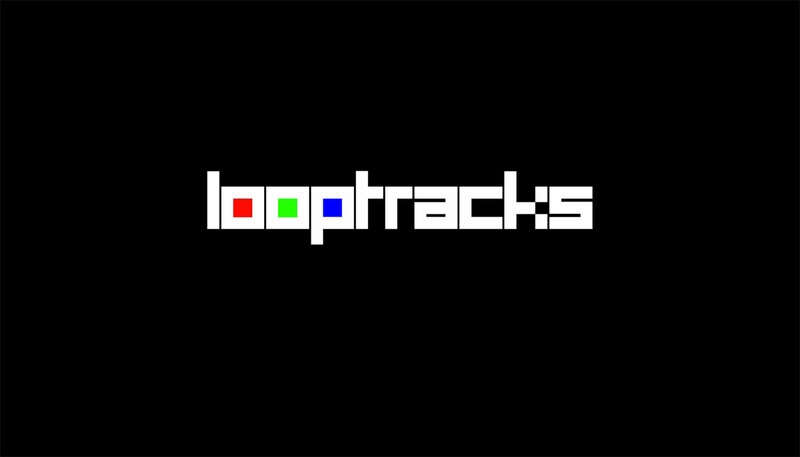 Looptracks was created as a personal project, and launched in 2004. 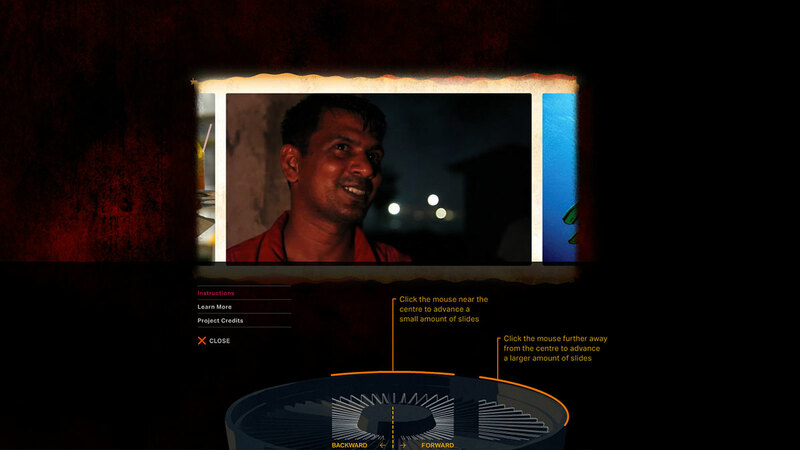 Undertaking art projects such as Looptracks is an important means of developing new ideas and exploring the capabilities of digital media technologies, which can be used for further art and commercial projects. 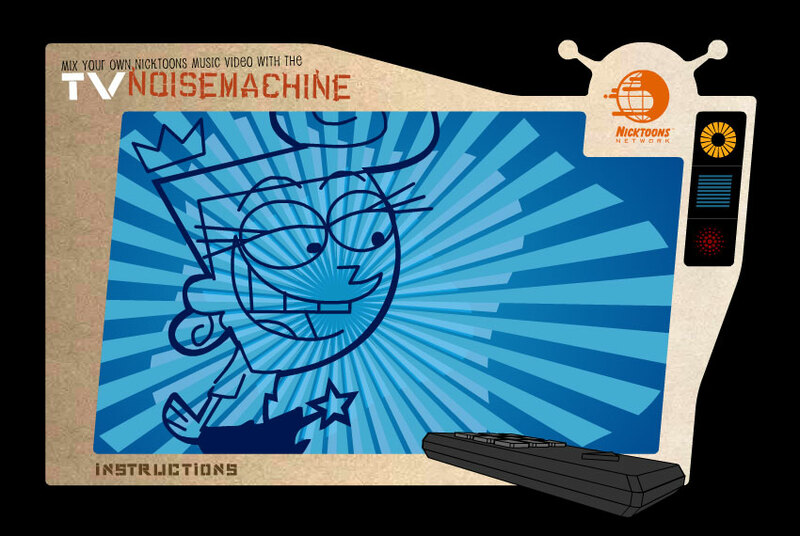 This piece was created for the website of the Nicktoons TV network in the US. 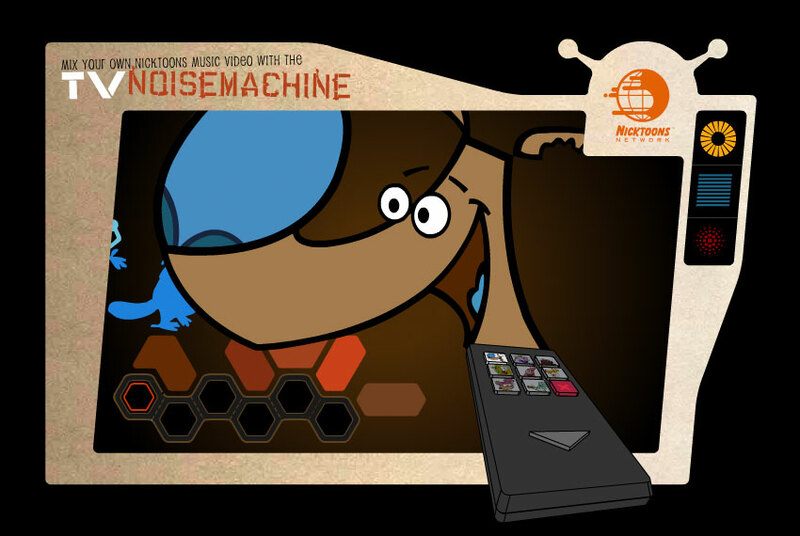 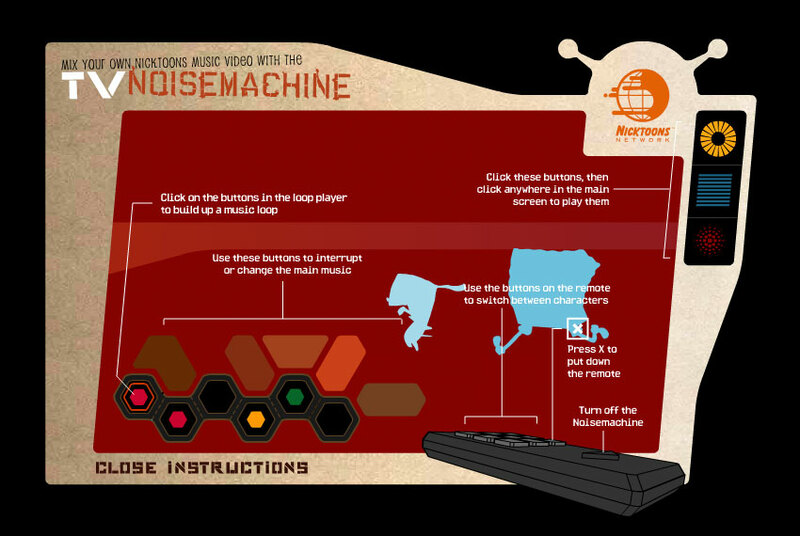 It has a form of interaction similar to Looptracks in which users can explore an interactive environment by triggering animation music and sound. 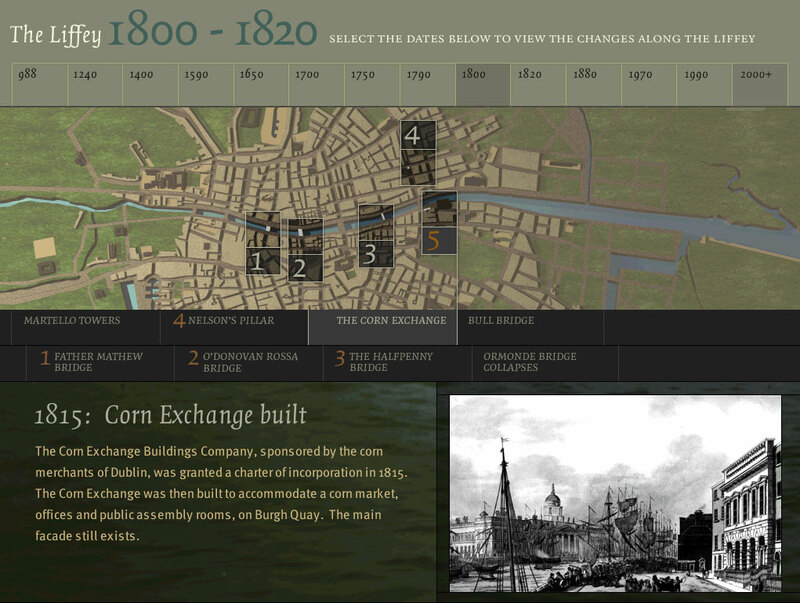 This interactive piece was created for Millenium celebrations at City Hall in Dublin while working at X Communications. 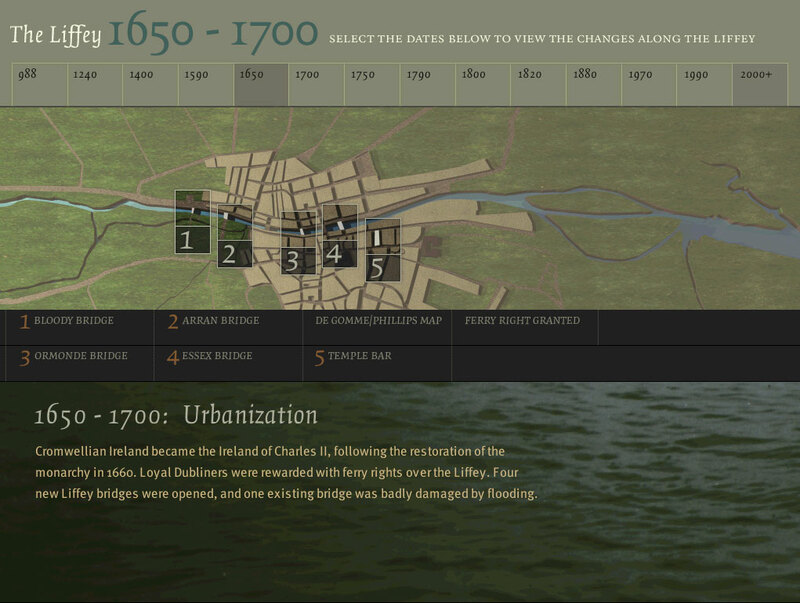 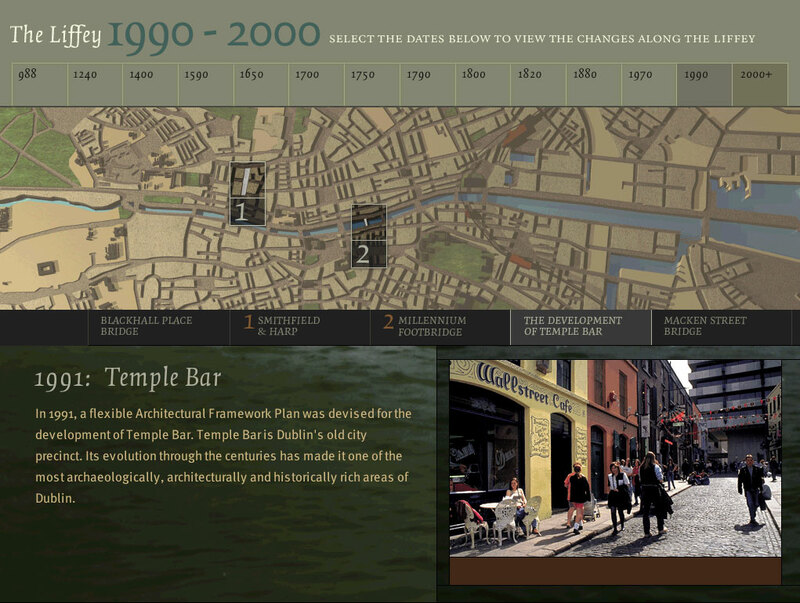 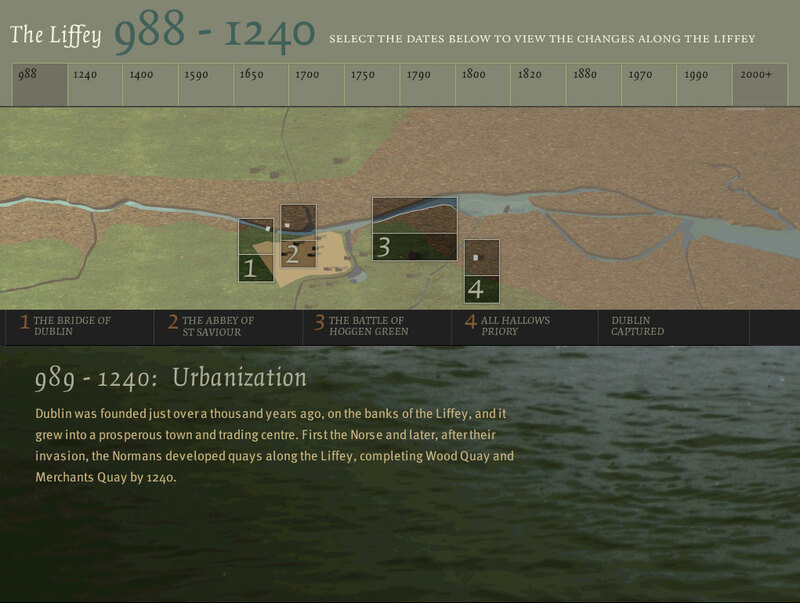 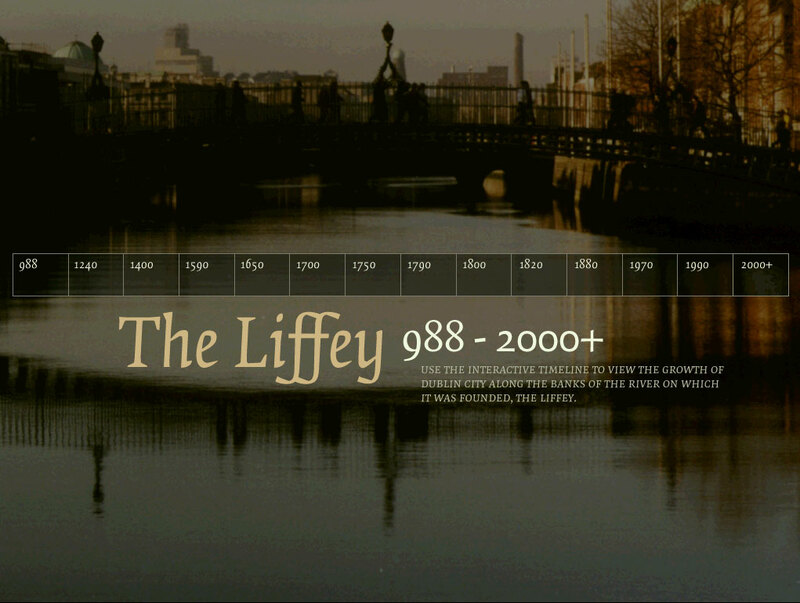 It allows users to explore a map of the Liffey area and to see how Dublin City developed in this area over a thousand years.